Priya Prakash Varrier, the aspiring Malayalam actress who became a sensation with a wink and a smile, has admirers of all age groups, it seems. 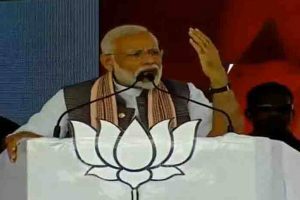 The teenager has none other than veteran actor Rishi Kapoor among her ever-swelling fans. Priya, who featured in a song from the film Oru Adaar Love, has been declared the ‘national crush’. The 18-year-old girl is everywhere now, literally. From news channels to memes on social media, there is no place you can avoid stumbling upon the internet’s new favorite. 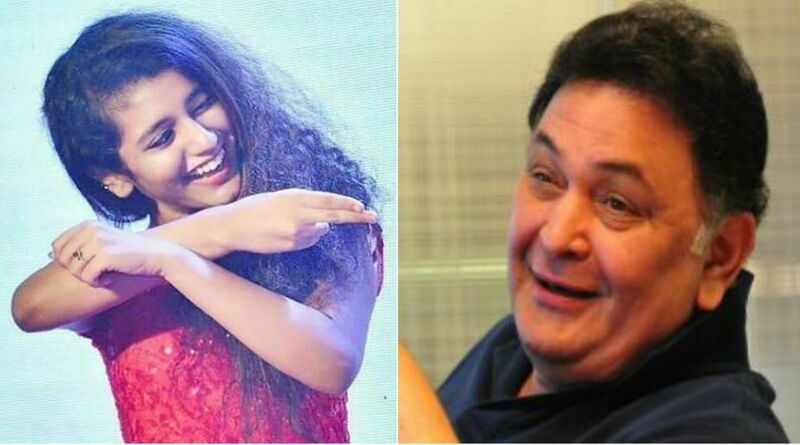 Rishi Kapoor took to Twitter to wish her luck and praised the young actress for her expressions. However, one sentence Rishi Kapoor wrote stood apart. Rishi Kapoor wrote: ‘Mere time mein naheen ayeen aap! Kyon?’ Here is the tweet he posted. On the work front, Rishi Kapoor is set to grace the screens with Amitabh Bachchan with his next project ‘ 102 Not Out’. Both the marvelous actors are going to work together after 27 years. The film 102 Not Out is slated to release on 4 May 2018.